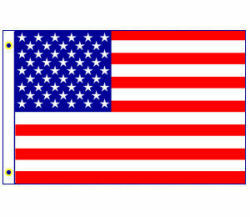 All Flags are made of Nylon fabric with brass grommets. 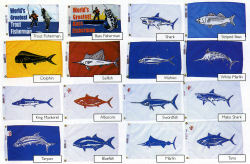 Fun Fishing Flags! 12" x 18" nylon screen printed with fish images. Indoor and Outdoor use. Canvas heading and brass grommets. 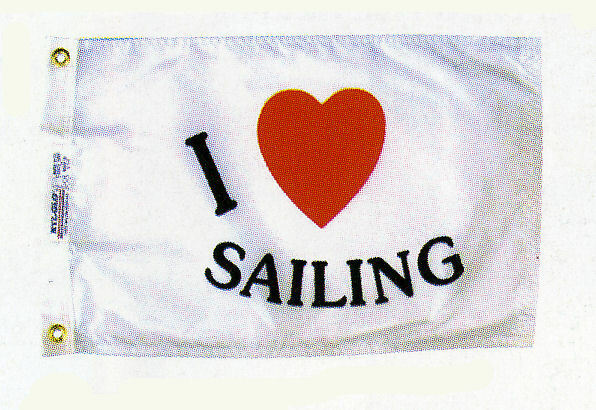 I Love Sailing flag. 12" x 18" Nyl-Glo indoor/outdoor flag. A must have for all sailors! 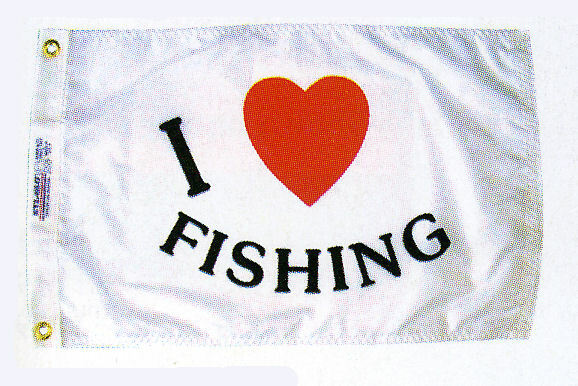 I Love Fishing flag. 12" x 18" Nyl-Glo indoor/outdoor flag. A must have for all fisherman! 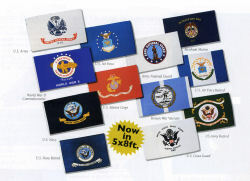 Quality Nyl-Glo indoor/outdoor Armed Forces flags. Available in sizes from 12" x 18" up to 5' x 8'. These 'Fun Flags' are made from 100% Nylon indoor/outdoor material. Canvas heading and Brass Grommets. Perfect for the boat, club, or party!